When it comes to stairlifts Pittsburgh Pennsylvania residents will always be able to count on Access Elevator. We have been providing mobility solutions more than three decades and counting, and this is a level of experience that is hard to match. Our company was founded on a firm commitment to the safety and well-being of others, and we take our responsibility to the community very seriously. We go the extra mile to make sure that the stairlifts Pittsburgh homeowners receive from us are installed perfectly, and we can adapt solutions that are ideal for every home configuration. If you have a straight stairway, we have a number of straight stairlift models to choose from. Of course, you are not left out in the cold if you have a spiral staircase, some other curves, or an unusual landing, because we offer curved stairlifts as well. The curved stairlifts and straight stairlifts Pittsburgh, PA clients can receive from us are sourced from Stannah, which is the leading manufacturer in the industry. They have been around for almost 150 years, and they have been producing top quality stairlifts for over four decades. Over the years, they have satisfied more than a half million customers, and market research indicates that just about every one of them would recommend Stannah stairlifts to others. Elevator Wheelchair Lift Pittsburgh, PA. 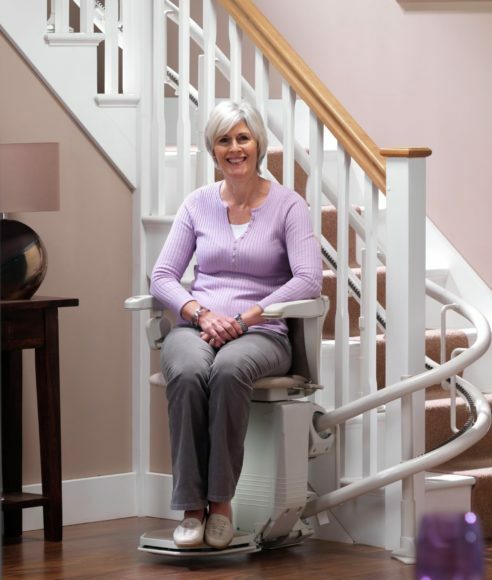 In addition to the stairlifts Pittsburgh homeowners can purchase through our company, we have a number of other products that can allow clients to get around their homes comfortably. A residential elevator can be the ideal solution for some people, and we have multiple options available. Even if you do not have severe mobility problems, a home elevator can make it much easier to move heavy items around your home. We also carry a wide range of wheelchair lifts, including unenclosed lifts, enclosed lifts, hybrid lifts, and shaftway wheelchair lifts. Contact the Leading Provider of Stairlifts in Pittsburgh! We know that our potential clients are going to have many questions, and we have always placed an emphasis on communication. You can rest assured that we will provide you with answers, and we will thoroughly explain the possibilities to you. If you would like to make a connection with the most trusted provider of stairlifts in Pittsburgh, we can be reached by phone right now at 412-781-9111.